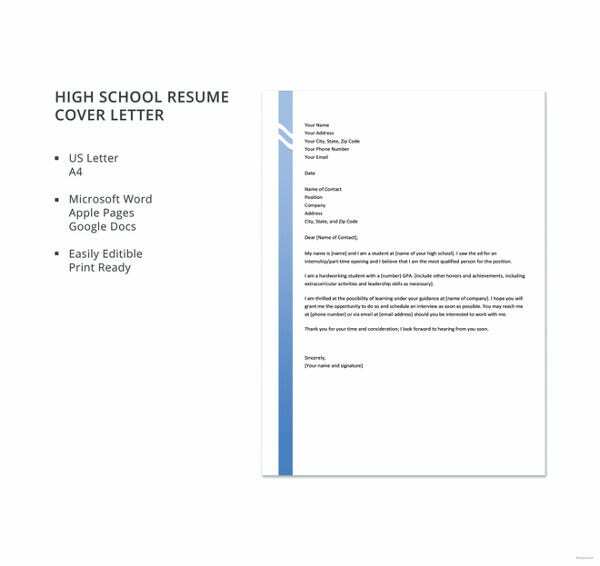 A cover letter would be a smart idea when you are sending your resume. These letters enable the hiring manager or employer to have a more personalized view of the candidate and assess his potential as a future employee in a clearer way. 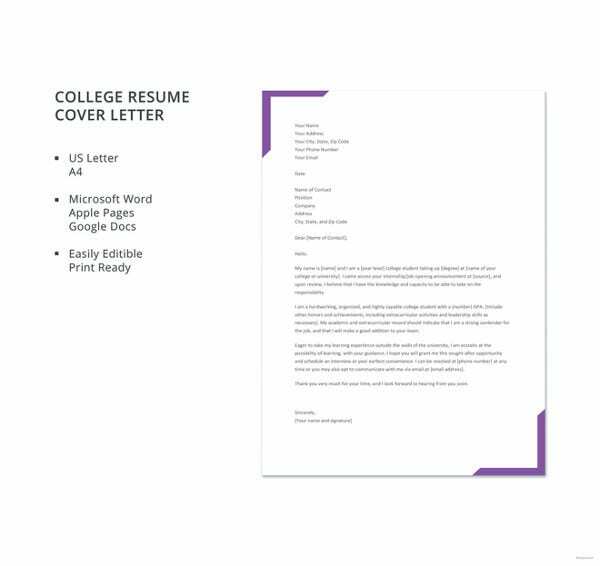 These days, you don’t have to burn the midnight oil in preparing a cover letter from scratch as the online world offers a huge range of readymade customizable cover letter format samples. 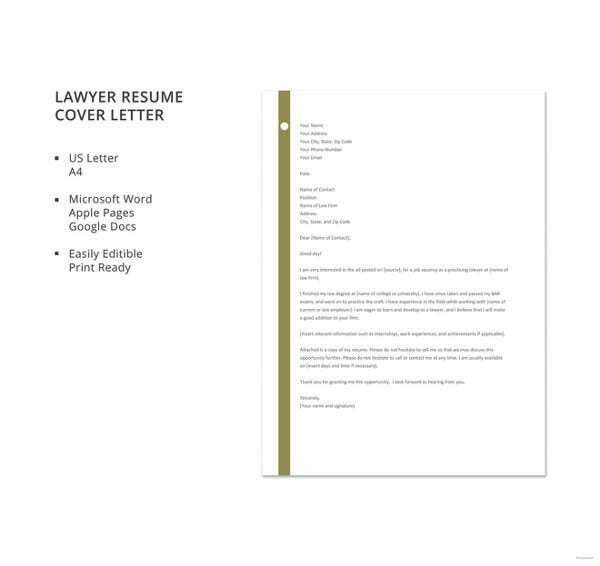 If you are looking for some guidance on your resume cover letter format, this template would be great with its expert instructions on successful cover letters. 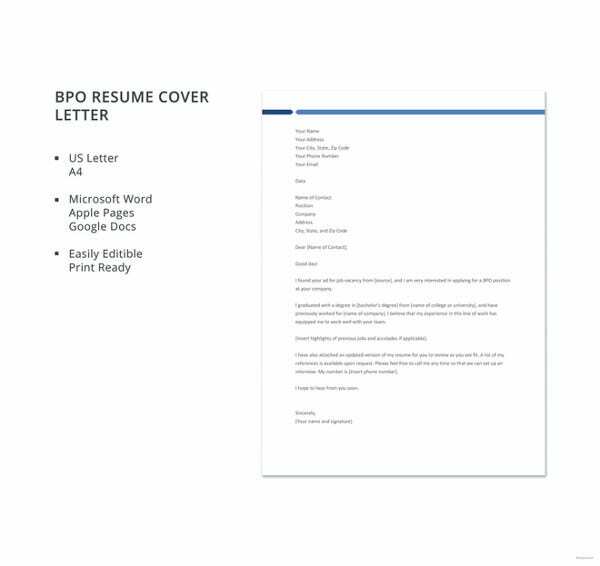 You have detailed business cover letter template here that will allow you to present a comprehensive letter in 4 distinct paragraphs; it also tells what to write exactly in which paragraph. 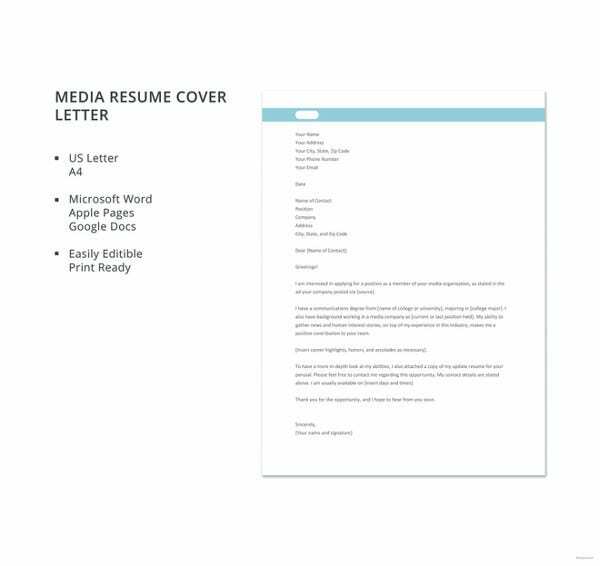 This is a very handy job application cover letter template that opens with the important tips to highlight in the cover letter. You also have a readymade cover letter sample here for easier understanding. 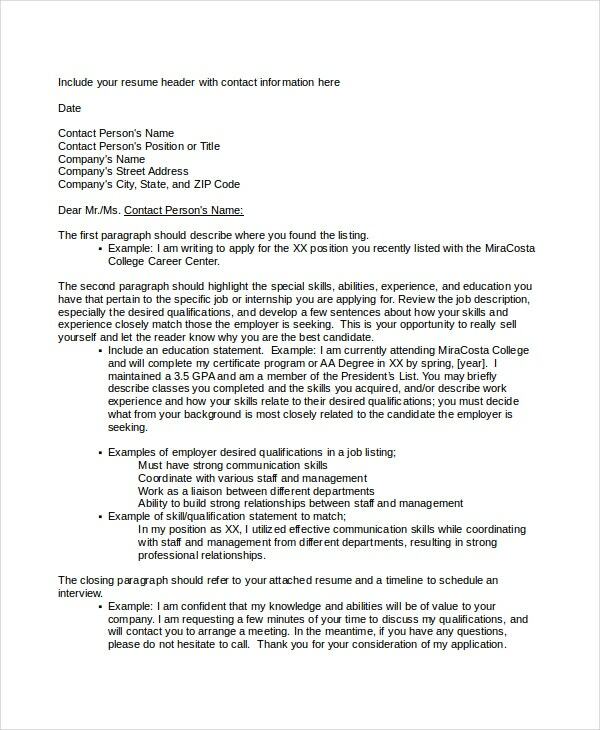 You have a basic professional cover letter format here which guides you on how and what to mention in every paragraph, starting from the initial opening to the concluding line. 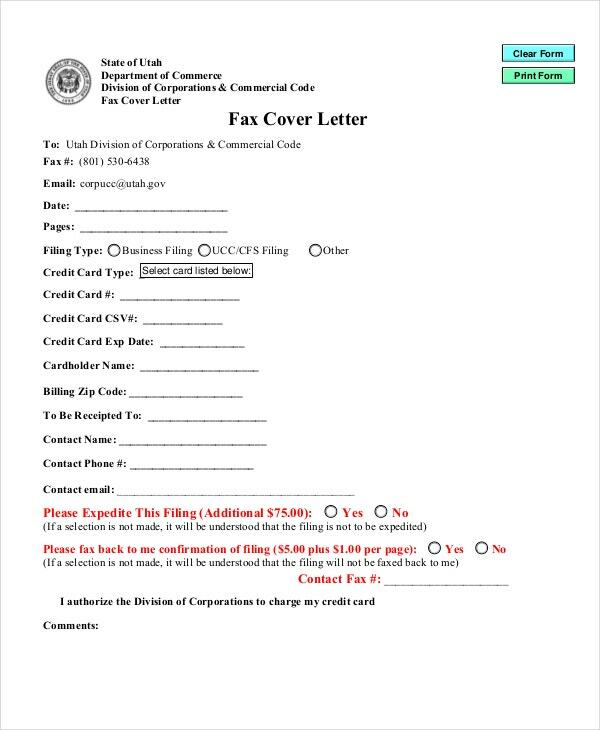 This fax cover letter template comes with all the important sections that will enable the recipient to have a fair view of the context and other major details of the fax message at a glance. 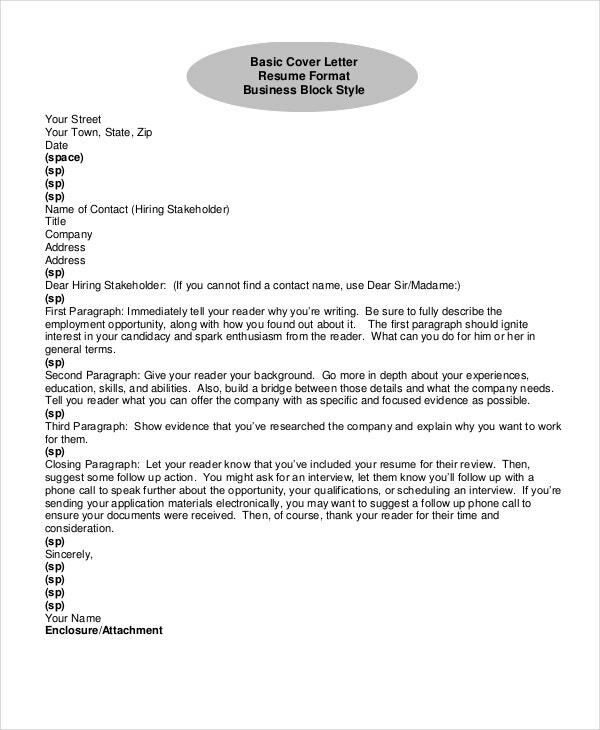 > What are the Tips for a Cover Letter Format? 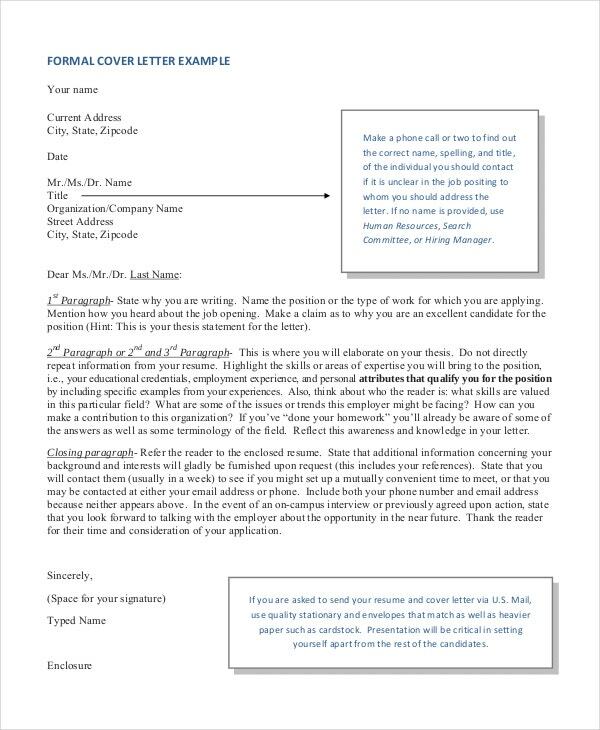 When it comes to writing a cover letter, especially for a job application, you must primarily make sure to do a compact research on the company or organization you would be sending the letter to. It will help you to smoothly align your education, hobbies, and work experience with the company requirements and culture. This would further help in presenting yourself as a suitable candidate for the job or internship. 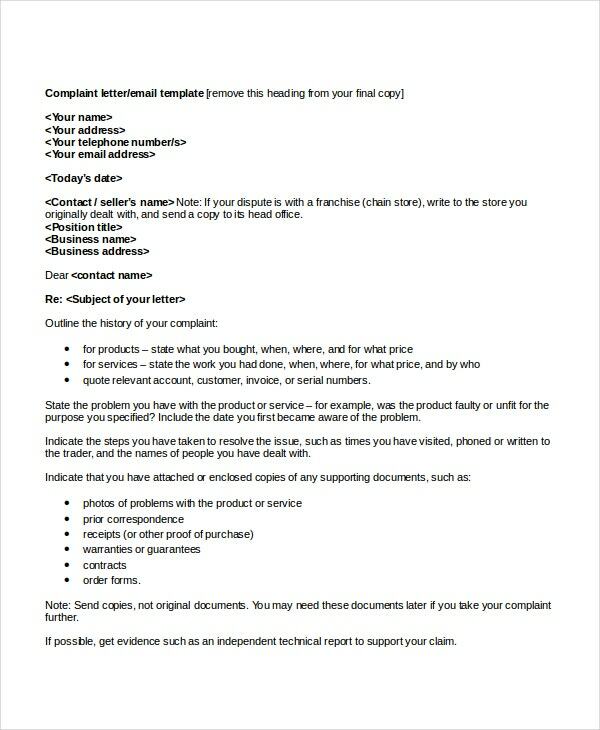 You can also see Sample Cover Memo Templates. 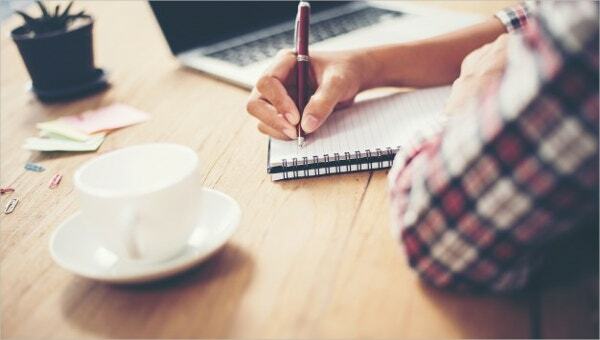 You must start the cover letter format straight with the message of application for the job. Then, you will describe how your education or expertise would be helpful for the company. However, do not include the same points that you mention in the resume. 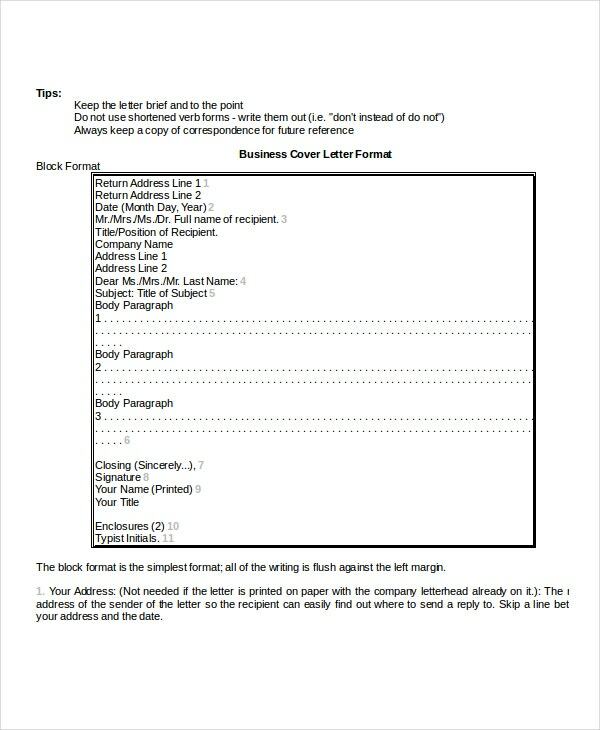 > What is the Benefit of a Cover Letter Format? The main benefit of a cover letter format is that it offers an additional nudge to your hiring manager. 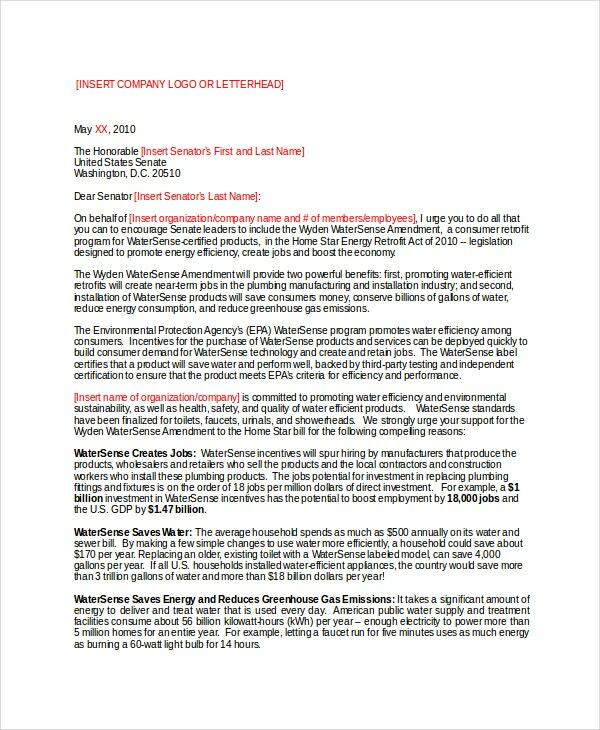 Resumes with a letter are sure to stand out in the heap of resumes with no such letter. 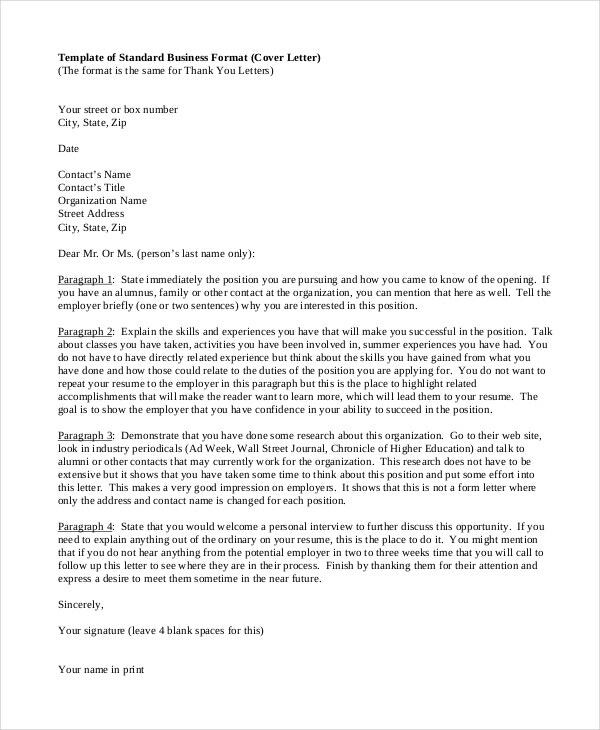 This letter offers you the opportunity to discuss and explain in detail about the things that you could not discuss in the resume due lack of space. For example, if you had a gap in your career, you can justify the need for such a gap in your cover letter. In short, the cover letter will help the hiring manager in having a better understanding of your prospect as a potential hire for his organization. 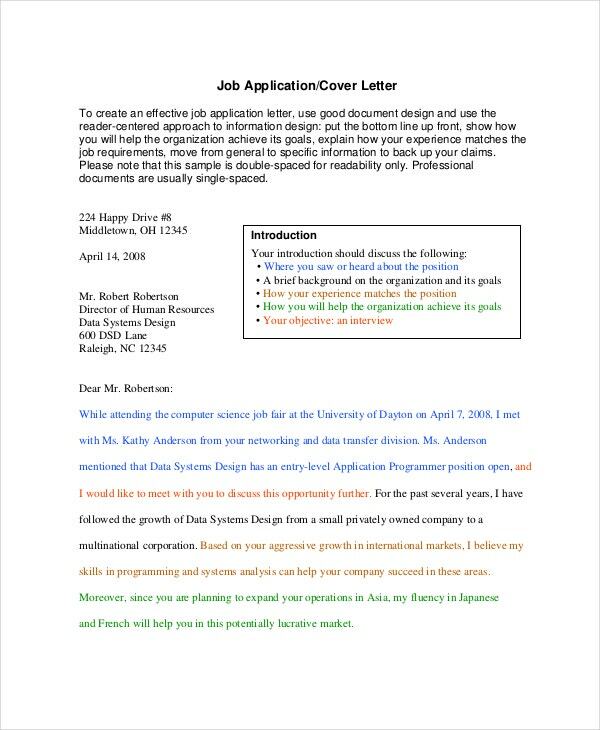 You can also see Job Cover Letter Templates. When you need expert suggestions on how to frame and what to include in a cover letter, the templates mentioned above are all that you need. 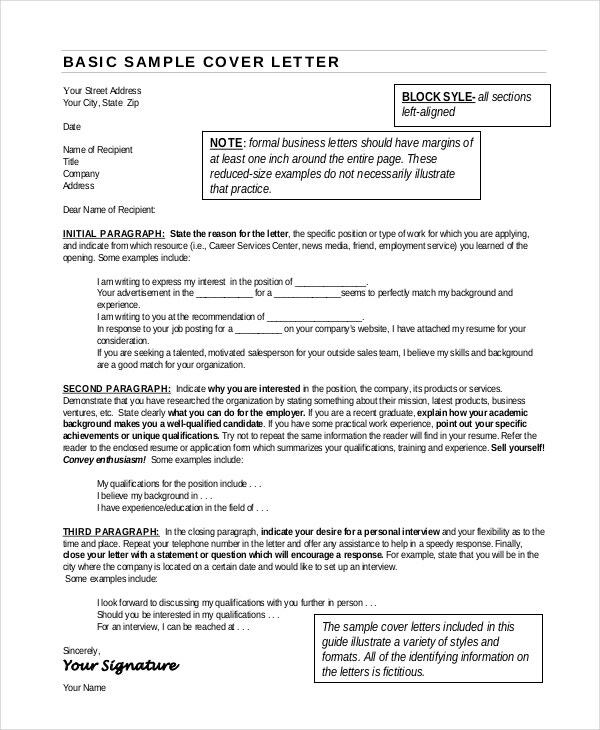 They not only come with sample letters but many of them have even provided instructions to create the best possible cover letter. They are a breeze to use.